It’s hard to believe that the small building on Market Street in Snow Hill – formerly St. Agnes Catholic Church – now houses over 10,000 artifacts that chronicle the history of Worcester County, Maryland. 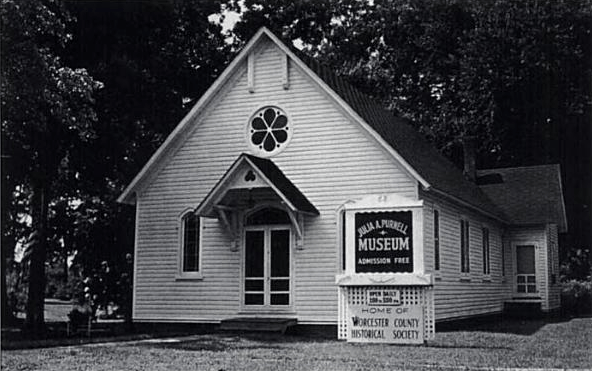 The Julia A. Purnell Museum, named for the beloved Snow Hill resident who was famous for her needlework and her devotion to the community, has been nicknamed the Attic of Worcester County because of its unique collection of early Americana, most of which were donated by locals. 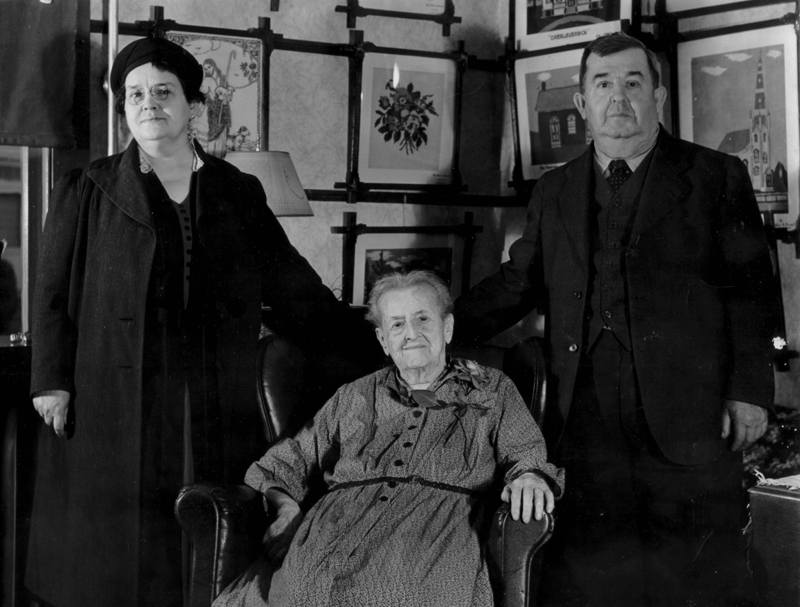 Julia A. Purnell lived to be one hundred years old. When she became wheelchair-bound in her eighties she began to do needlework. She became an expert at both the craft and in selecting images that reflected the character of Worcester County. Many of her works featured prominent buildings and landscapes in and around Snow Hill. 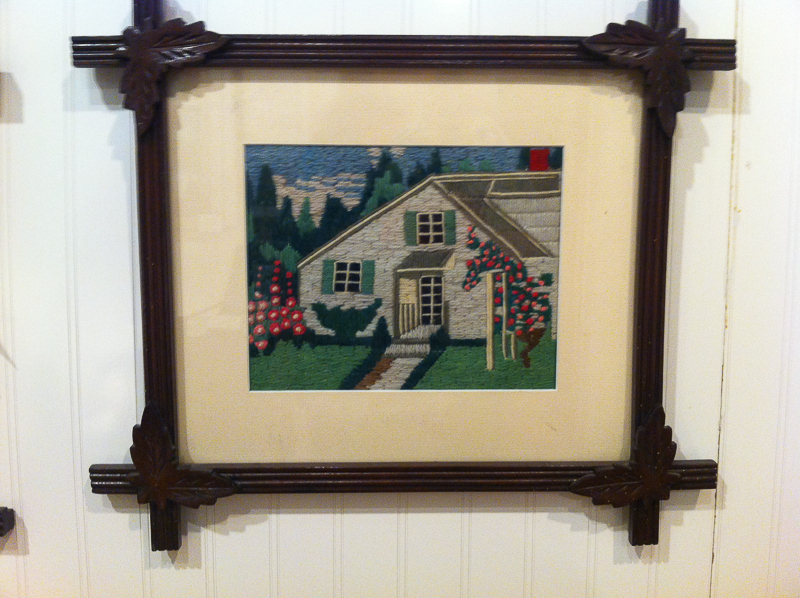 Her son William crafted traditional Victiorian-style frames to display her work. 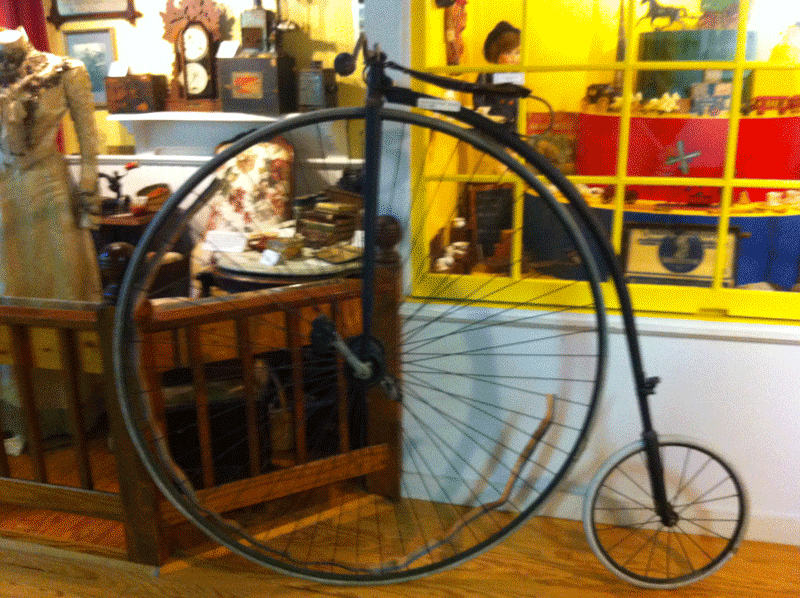 He made hundreds of these frames, and today a Purnell frame can fetch upwards of $80 at an antique store or auction. 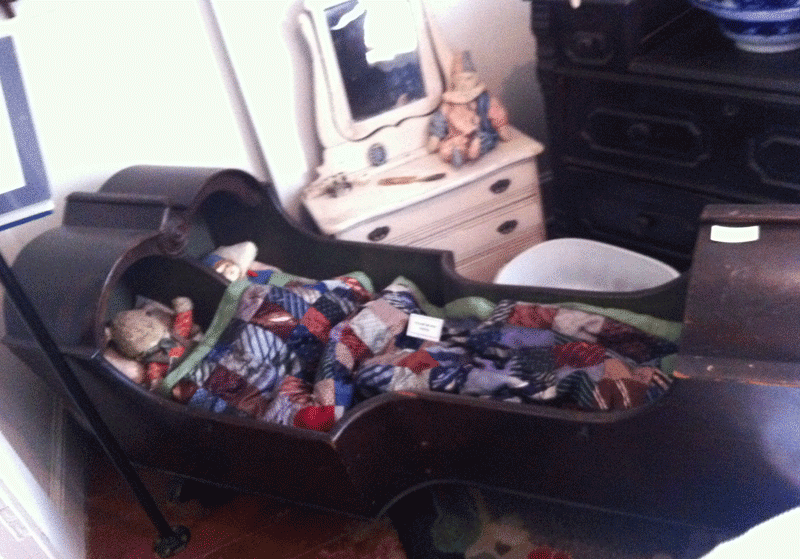 Toward the end of her life, Julia also began collecting antiques and memorabilia. William put these collectables along with Julia’s needlework and her crafting tools on display in building in their neighborhood so locals could admire his mother’s artwork and collections. He named it the Julia A. Purnell Museum. When Julia died in 1943 the local community poured out its affection for this special lady by donating scores of historic items from their homes. They literally emptied their attics in memory of Julia. Ever the devoted son, William added these donations to the Museum’s cache of artifacts. Before long Snow Hill’s Mayor, John O. Byrd persuaded William to move the museum into the old Catholic Church building on Market Street which had been vacant for many years. The Town of Snow Hill eventually took possession of the building and William Purnell left the Museum and its artifacts to the Town when he died. Since then, the Julia A. Purnell Museum has added on to its collection and improved the quality of interpretive displays that now chronicle local history from the Indian tribes through the 1950s. The most popular item in the Julia Purnell Museum seems to be the Dressed Fleas. This small display shows three shadow boxes, each with actual fleas inside dressed in costumes (made of paper). A magnifying glass allows the visitor to examine them up close to see the the details of both the insect and the detail of the paper costumes. It’s one of those marvels one just can’t believe – yet they see it. 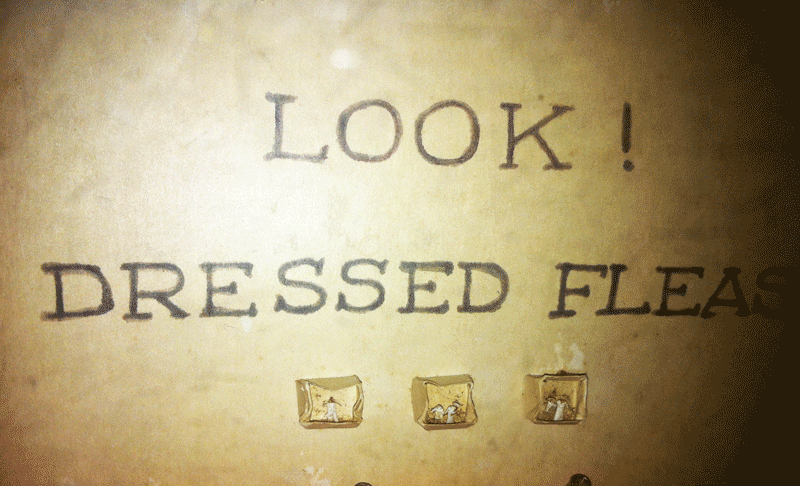 These Dressed Fleas came from a Mexican Circus. Flea dressing was apparently a novelty of the time and this circus traveled around North America and eventually its assets were sold at auction. Another popular artifact also originated with a circus. 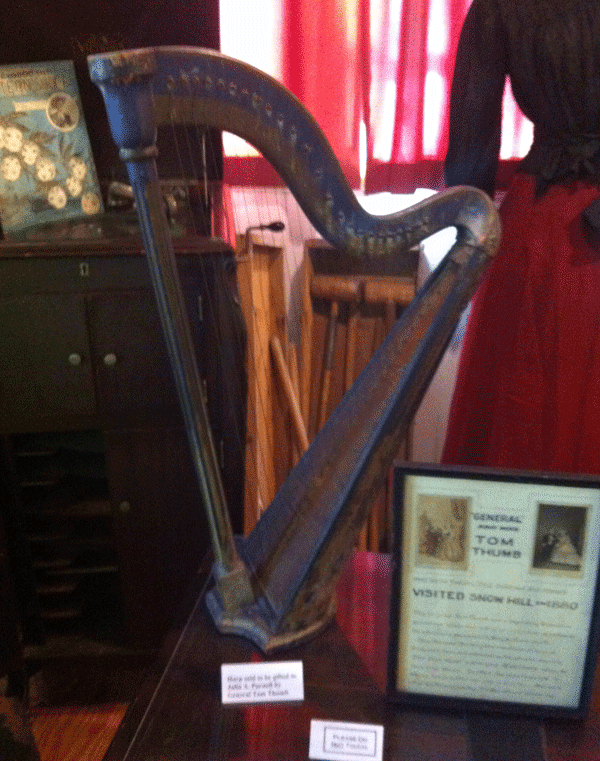 Tom Thumb’s Harp is on display near the dressed fleas with interpretive signage that says Tom Thumb visited Snow Hill. Whether or not the harp can be directly traced to Tom Thumb, it’s clearly an unusual instrument in that it was made for a Little Person and much smaller than any commonly manufactured harps of America or Europe. A visitor to the Julia A. Purnell Museum could spend fifteen minutes or two hours surveying the collections and it would be worth a visit. – – AND there would still be much left to see. The Museum also has a small store that sells books on local history and small toys for children. Children are welcomed in the museum and can participate in activities and events planned especially for them throughout the year. For more information contact the Museum staff.